Cecilia Morel was born on January 14, 1954 and grew up in a family with seven children. She lived in the district of San José de Maipo as a child and the family later moved to Santiago. She met Sebastián Piñera, who lived just a few houses away, when she was 19. They were married in 1973 and left for the United States in December of that year, where Sebastián Piñera pursued his doctorate in Economics. Their first daughter, Magdalena, was born in the United States (1975). The couple welcomed Cecilia (1978), Sebastián (1982), and Cristóbal (1989) after they returned to Chile. Cecilia Morel undoubtedly inherited her profound vocation for public and social service from her mother and grandmother. She studied family counseling at Instituto Carlos Casanueva, which allowed her to learn about the realities of at-risk families. Among the first projects in which she participated, and which she remembers with a great deal of affection, were the “casa de la juventud” (youth Home) in the district of Conchalí and a plan to bring dignity to young prison inmates in the district of Puente Alto. 1989, she founded Fundación Mujer Emprende in order to promote employment and training of women in disadvantaged areas. She also played an active role in the Archdiocese of Chile’s Pastoral Peace and Justice Commission and carried out various activities as a counselor on topics related to family and childhood. Cecilia Morel has always supported and accompanied her husband in his career in public service. She stood at his side when he ran for Senate and later for President, and, most particularly, during his first administration (2010-2014). She also was there for the next great challenge, which the couple met with a great deal of enthusiasm and commitment: last year’s campaign to return to the Presidency, which resulted in the Chilean people giving them this great responsibility once again with an administration that will run through 2022. During President Piñera’s first administration, Cecilia Morel presided over the seven foundations that come under the Presidency of the Republic's Foundations Network. These are Fundación de la Familia (nonprofit related to families), Fundación Orquestas Juveniles e Infantiles de Chile (youth orchestra foundation), Fundación Artesanías de Chile (nonprofit to promote handicrafts), Fundación Chilenter (nonprofit promoting access to technology), Fundación Integra (network of nurseries and kindergartens), Fundación ProDemu (foundation dedicated to promoting and developing women) and Fundación Tiempos Nuevos (MIM interactive museum). She worked to improve the service and management of resources, increase the number of beneficiaries, strengthen public-private alliances, improve transparency and probity, and create better evaluation methods. However, the project that fulfilled Cecilia the most as First Lady was the “Elige Vivir Sano” (Choose to Live Healthily) program, an unprecedented policy that sought to promote healthy habits among Chileans through four pillars: Eat Healthily, Get Active, Life Outdoors, and Enjoy Nature. All of these efforts were designed to introduce a culture rooted in healthy living, which became the foundation for a national law enacted in May 2013. After the first Piñera administration ended, Cecilia Morel led the creation of Fundación Chile Vive Sano as part of her commitment to this national cause. So, as a private citizen, she continued to contribute to the struggle against obesity and physical inactivity, two of the main risk factors to the health of Chile’s population. Over 30,000 children and teachers have benefitted from this effort to date. 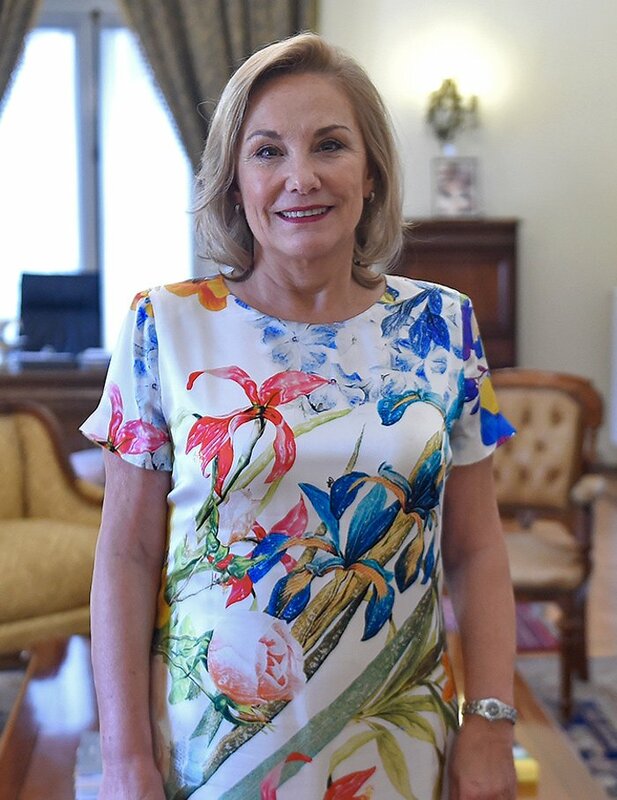 Cecilia Morel has returned to La Moneda Palace as First Lady, a role that she has assumed with a great deal of responsibility, affection and enthusiasm. In addition to leading and strengthening the seven foundations that come under the umbrella of the Presidency of the Republic's Foundations Network and which do so much for our country, she will continue to work tirelessly on social policies that have as their sole purpose improving the quality of life of the most disadvantaged members of Chilean society.